Hartsdale contains a number of award-winning show dogs. Among the most interesting is Rini Rinty, who apparently had a gift for song. 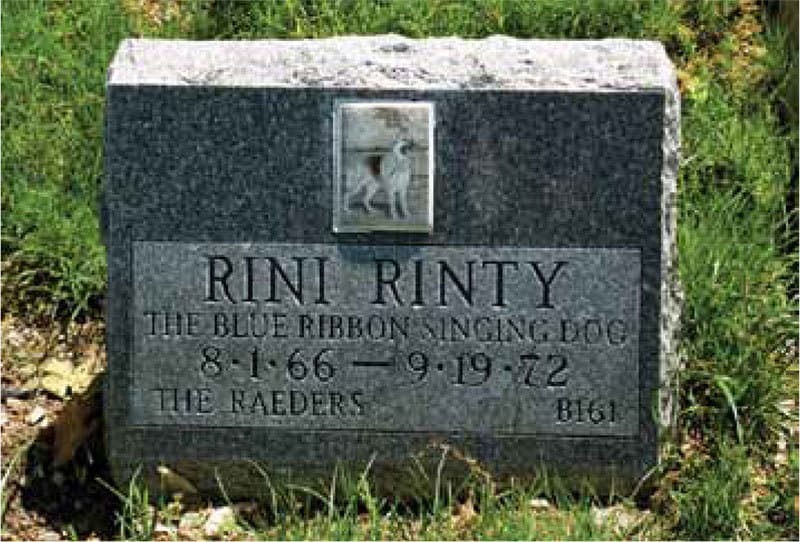 It’s likely that Rini Rinty was named after Rin Tin Tin, a shell-shocked German Shepherd puppy found by American serviceman Lee Duncan in Lorraine, France, in World War I. Duncan brought the dog home with him to Los Angeles at war’s end. He taught the dog a number of tricks, and through a twist of fate, the dog started appearing in movies. Rin Tin Tin appeared in a number of films until his death in 1932 and was then replaced by a succession of other dogs with the same name. In October 1954, he got his own show on ABC. ran until May 1959. On the show, the dog was often called Rinty for short. The first Rin Tin Tin has a star on the Hollywood Walk of Fame.